Why do we dream? That question has interested people for thousands of years. Biblical texts and other ancient documents mention dreams. They were sometimes believed to be messages from God. Oneirology is the field of scientific study that focuses on dreaming. Interpretation of a person’s dreams is sometimes used in psychoanalysis and therapy. The content may reveal things about their personality. Looking for certain themes can be a way to detect psychological disorders such as depression or suicidal tendencies. For example, when elderly individuals have dreams about dying it may be a symptom of clinical depression. When younger individuals have dreams about death, psychologists believe that it indicates a need for change in their personalities. 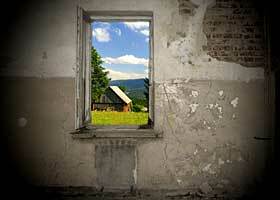 Basically, dreams are believed to be windows that look into a person’s subconscious. Dreaming occurs during REM (rapid eye movement) and non-REM stages of sleep, but the brain waves created during those periods are different. When dreaming occurs during REM sleep, the brain activity is very much like what occurs when a person is awake. This was first observed in 1952 by Eugene Aserinsky. There is less brain activity during non-REM sleep whether or not a person is dreaming. The remembered dreams that occur during this sleep phase seem more mundane by comparison. Why do we dream more vividly during REM? No one knows. But, it has been noted that the eye movements are related to what is going on in our dreams. It is as though we are watching the events unfold. If a person is awakened during REM, they are more likely to recall the events of their dreams. Sleep studies have been used to confirm this. The studies have also revealed that dreaming is a regular nightly occurrence. Whether or not we remember the content in the morning, we were dreaming during the night. It seems that the most vivid images, colors and emotions occur as morning approaches, although this can only be verified by interviewing the dreamer. There is little or no change in brain wave activity or eye movement. There are several theories that attempt to answer the question of “why do we dream”. Most of them have to do with memory storage. In “Memory processes and the function of sleep”, scientist Jie Zhang proposes that during the dream-state short term or temporary memories are being transferred into long-term storage compartments in the brain. Why do we dream more vividly during REM? Zhang’s answer is that conscious memories are being stored during non-REM sleep and sub-conscious memories are stored during REM. A 2001 study conducted by Payne and Nadal provides evidence that the opposite is true. The researchers theorize that the unusual characters and the illogical circumstances in our dreams are helping the brain to strengthen links and consolidate conscious memories, such as the things we learn during the day. Older theories had to do with selective memory storage. The idea was that dreams served to rid the brain of unnecessary information; things that we do not “need” to remember. In addition to the theories about memory storage, there are some things that we know about why do we dream. Some of the brains neurons are firing in a rhythmic repetitive fashion. It is interesting that motor neurons, those that allow for movement of the body, are not stimulated in most people. This is what prevents people from acting out their dreams. Only in certain neurological conditions do people flail about in response to what is going on in their brains. We may not completely understand why do we dream. But, we do know they are necessary for normal brain function.